It has been suggested that this article be merged with Home Nations. (Discuss) Proposed since March 2019. The United Kingdom (UK) comprises four countries: England, Scotland and Wales (which collectively make up Great Britain) and Northern Ireland (which is variously described as a country, province or region). Within the United Kingdom, a unitary sovereign state, Northern Ireland, Scotland and Wales have gained a degree of autonomy through the process of devolution. The UK Parliament and British Government deal with all reserved matters for Northern Ireland, Scotland and Wales, but not in general matters that have been devolved to the Northern Ireland Assembly, Scottish Parliament and National Assembly for Wales. Additionally, devolution in Northern Ireland is conditional on co-operation between the Northern Ireland Executive and the Government of Ireland (see North/South Ministerial Council) and the British Government consults with the Government of Ireland to reach agreement on some non-devolved matters for Northern Ireland (see British–Irish Intergovernmental Conference). England, comprising the majority of the population and area of the United Kingdom, remains fully the responsibility of the UK Parliament centralised in London. England, Northern Ireland, Scotland and Wales are not themselves listed in the International Organization for Standardization (ISO) list of countries. 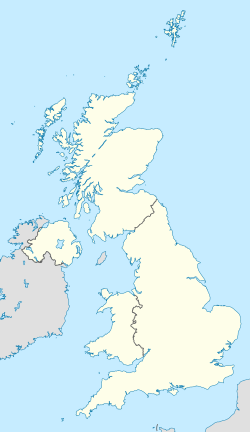 However the ISO list of the subdivisions of the UK, compiled by British Standards and the UK's Office for National Statistics, uses "country" to describe England, Scotland and Wales. Northern Ireland, in contrast, is described as a "province" in the same lists. Each has separate national governing bodies for sports and compete separately in many international sporting competitions, including the Commonwealth Games. Northern Ireland also forms joint All-Island sporting bodies with the Republic of Ireland for most sports, including rugby union. 1 The UK Parliament makes all English legislation, whilst the London Assembly scrutinizes the Mayor of London. 2 The UK Government, the Mayor of London and their Mayoral cabinet, Metro Mayors and combined authorities, and the councils of Cornwall and the Isles of Scilly exercise executive power in England. 3 The former flag of Northern Ireland, the Ulster Banner, is still used in some sport-related contexts. *Gross value added. Figures for GVA do not include oil and gas revenues generated beyond the UK's territorial waters, in the country's continental shelf region. The Laws in Wales Acts 1535 and 1542 annexed the legal system of Wales to England to create the single entity commonly known for centuries simply as England, but later officially renamed England and Wales. Wales was described (in varying combinations) as the "country", "principality", and "dominion" of Wales. Outside Wales, England was not given a specific name or term. The Laws in Wales Acts have subsequently been repealed. The official term rest of the UK (RUK or rUK) is used in Scotland, for example in export statistics and in legislating for student funding. The identity question is confounded further by identity with politics and religion, and particularly by a stance on the constitutional status of Northern Ireland. Again in 2014, the Life & Times Survey asked what respondents felt should be the "long term future for Northern Ireland". 66% of respondents felt the future should be as a part of the UK, with or without devolved government. 17% felt that Northern Ireland should unify with the Republic of Ireland. 50% of specifically Roman Catholics considered that the long-term future should be as part of the UK, with 32% opting for separation. 87% of respondents identifying as any Protestant denomination opted for remaining part of the UK, with only 4% opting for separation. Of those respondents who declared no religion, 62% opted for remaining part of the UK, with 9% opting for separation. Cornwall is administered as a county of England, but the Cornish people are a recognised national minority, included under the terms of the Framework Convention for the Protection of National Minorities in 2014. Each of England, Northern Ireland, Scotland and Wales has separate national governing bodies for sports and competes separately in many international sporting competitions. Each country of the United Kingdom has a national football team, and competes as a separate national team in the various disciplines in the Commonwealth Games. At the Olympic Games, the United Kingdom is represented by the Great Britain and Northern Ireland team, although athletes from Northern Ireland can choose to join the Republic of Ireland's Olympic team. In addition to Northern Ireland having its own national governing bodies for some sports such as Association football and Netball, for others, such as rugby union and cricket, Northern Ireland participates with the Republic of Ireland in a joint All-Ireland team. England and Wales field a joint cricket team. The United Kingdom participates in the Eurovision Song Contest as a single entity, though there have been calls for separate and Scottish and Welsh entrants. In 2018, Wales participated alone in the spin-off "Choir of the Year", placing second. ^ "Administrative Regions of the UK". statistics.gov.uk. Retrieved 12 July 2015. ^ "Devolution Glossary". Cabinet Office. Archived from the original on 25 November 2010. "United Kingdom: Term used most frequently for the United Kingdom of Great Britain and Northern Ireland, the modern sovereign state comprising England, Scotland, Wales and Northern Ireland." ^ J. Whyte; G. FitzGerald (1991), Interpreting Northern Ireland, Oxford: Oxford University Press, One problem must be adverted to in writing about Northern Ireland. This is the question of what name to give to the various geographical entities. These names can be controversial, with the choice often revealing one's political preferences. ... some refer to Northern Ireland as a 'province'. That usage can arouse irritation particularly among nationalists, who claim the title 'province' should be properly reserved to the four historic provinces of Ireland-Ulster, Leinster, Munster, and Connacht. If I want to a label to apply to Northern Ireland I shall call it a 'region'. Unionists should find that title as acceptable as 'province': Northern Ireland appears as a region in the regional statistics of the United Kingdom published by the British government. ^ D. Murphy (1979), A Place Apart, London: Penguin Books, Next – what noun is appropriate to Northern Ireland? 'Province' won't do since one-third of the province is on the wrong side of the border. 'State' implies more self-determination than Northern Ireland has ever had and 'country' or 'nation' are blatantly absurd. 'Colony' has overtones that would be resented by both communities and 'statelet' sounds too patronizing, though outsiders might consider it more precise than anything else; so one is left with the unsatisfactory word 'region'. ^ a b Region and Country Profiles, Key Statistics and Profiles, October 2013, ONS. Retrieved 9 August 2015. According to the ONS, England has an area of 130,279 km², and the UK has an area of 242,509 km², therefore England comprises 54% of the area of the UK. ^ a b "ISO Newsletter ii-3-2011-12-13" (PDF). Retrieved 4 July 2017. ^ "Sport Northern Ireland | Performance | Governing Bodies of Sport". Sportni.net. 2009-12-01. Archived from the original on 2014-04-01. Retrieved 2014-02-23. ^ "Population estimates - Office for National Statistics". www.ons.gov.uk. Retrieved 2016-06-30. ^ a b Office for National Statistics. "Regional gross value added (income approach), UK: 1997 to 2015, December 2015". Retrieved 5 March 2017. ^ "Laws in Wales Act 1542 (repealed)". www.statutelaw.gov.uk. Retrieved 4 July 2017. ^ "About Parliament > Art in Parliament > Online Exhibitions > The Palace of Westminster > National Patron Saints > St David and Wales". Official website. UK Parliament. Retrieved 3 January 2016. ^ Langlands, Rebecca (1999). "Britishness or Englishness? The Historical Problem of National Identity in Britain". Nations and Nationalism. 5: 53–69. doi:10.1111/j.1354-5078.1999.00053.x. ^ Bradley, Ian C. (2007). Believing in Britain: The Spiritual Identity of 'Britishness'. I. B. Tauris. ISBN 978-1-84511-326-1. ^ Frith, Maxine (2004-01-08). "Ethnic minorities feel strong sense of identity with Britain, report reveals". The Independent. London: independent.co.uk. Retrieved 2009-07-07. ^ "The English: Europe's lost tribe". BBC News. news.bbc.co.uk. 1999-01-14. Retrieved 2009-06-05. ^ "Devolution, Public Attitudes and National Identity" (PDF). www. devolution.ac.uk. Archived from the original (PDF) on 2007-12-01. "The rise of the Little Englanders". London: The Guardian, John Carvel, social affairs editor. 28 November 2000. Retrieved 30 April 2010. ^ "Northern Ireland Life and Times Survey 2014, national identity module". University of Ulster and Queen's University Belfast. Retrieved 2015-08-08. ^ a b "Northern Ireland Life and Times Survey 2014, Political Attitudes module". University of Ulster and Queen's University Belfast. Retrieved 2015-08-08. ^ "Devolution and Britishness". Devolution and Constitutional Change. UK's Economic and Social Research Council. Archived from the original on 2009-03-10. ^ "Scotland Rejects Independence in Record-Breaking Referendum - NBC News". Retrieved 4 July 2017. ^ "Cornish granted minority status within the UK". Gov.uk. 24 April 2014. Retrieved 12 September 2017.